ShamrockFest is the largest St. Patrick's Day festival in the United States. 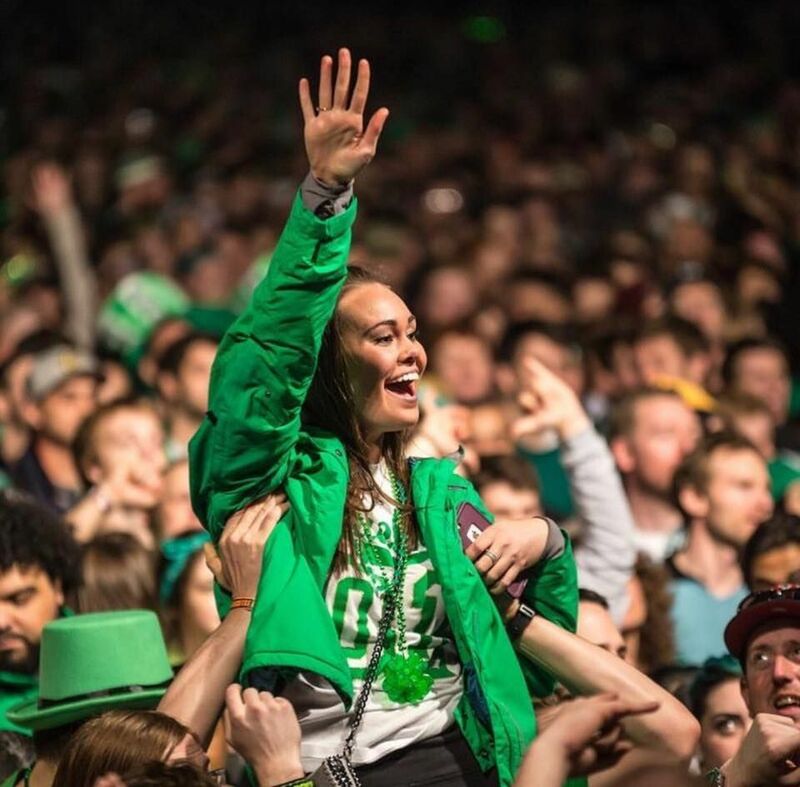 Washington, D.C.'s ShamrockFest is a huge street festival with live music stages, food, plenty of beer, an Irish Village, carnival rides, and much more. The festival features more than 30 bands and DJs on five stages. Headliners include The Mighty Mighty Bosstones, Andrew W.K., The Mahones, Gaelic Mishap, DJ Kool, The Fighting Jamesons, and more. See all the acts here. It's a festive atmosphere for all ages. Because the festival is associated with Saint Patricks' Day, many attendees wear green clothing or other Saint Patrick's Day gear. ShamrockFest takes place on the Saturday closest to St. Patrick's day from 12 noon to 8 p.m. This year, that's March 23. The event is held rain or shine. The music festival takes place at the RFK Stadium Festival Grounds (not inside the stadium). The RFK Stadium Festival Fairgrounds is divided into two areas for ShamrockFest. One is the main area and the other, the VIP area. To get into the VIP area, for adults 21 and over, requires a special, higher-priced ticket. This is the area where you'll find the "bottomless beer," more music stages, special events, and more restrooms. Food and drink (including cocktails, beer, and wine) are available for sale at vendor booths and are not included in the ticket price. No outside food or beverage is permitted at ShamrockFest. The address is 2400 E. Capitol St. NE Washington, DC and the closest metro station is Stadium-Armory. Since ShamrockFest takes up much of the parking area at the stadium, using the metro is recommended. Regular tickets are currently $24.99 (advance purchase), plus a service fee. VIP Admission was $64.99 (plus service fee) and includes bottomless beer, a souvenir mug, heated tents, and VIP seating. Children 11 and under may enter free with a ticket holder that is at least 18 years of age. Head to the event ticket site to purchase. Saint Patrick's Day Parades are held in Washington, DC, Alexandria, Virginia, and Gaithersburg, Maryland. In Washington, DC, the parade proceeds along Constitution Avenue—7th to 17th Streets NW. This two-and-a-half hour special event, known as the Nation's St. Patrick's Day Parade, includes floats, marching bands, pipe bands, military, police, and fire departments. Local Irish pubs sponsor parade parties featuring Irish musicians, dancers, and signers. The 2019 date is Sunday, March 10, 2019. St. Patrick’s Day Dining and Pub Crawling is a tradition. The Washington, DC area has a good number of Irish restaurants that celebrate the holiday with special events. There's even a St. Paddy’s Day SoberRide program to help people get home safely.